Why You Should Try Revlite Laser Treatment at Skin House* | Vanity and Everything in Between. 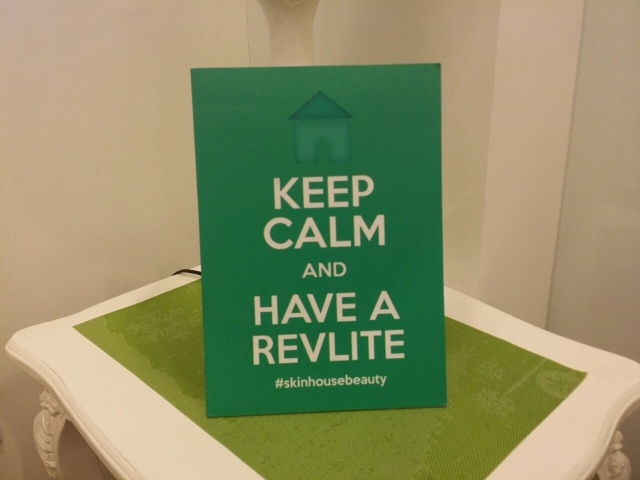 Skin House invited me to try their Revlite Laser treatment last month. 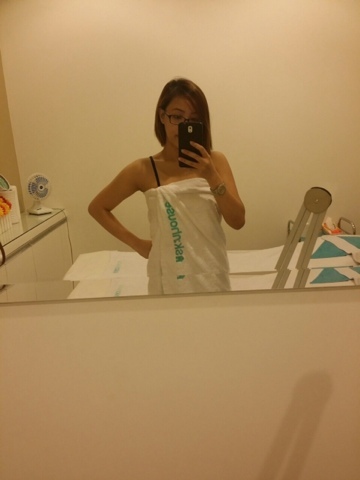 I was hesitant to try it at first because I just recently had my last session of IPL with a very famous clinic and sad to say, it wasn't as effective as I expected. Given that thought, I had little expectation with Revlite. But after googling what revlite is all about, I accepted Skin House's invitation. The procedure is different pala! 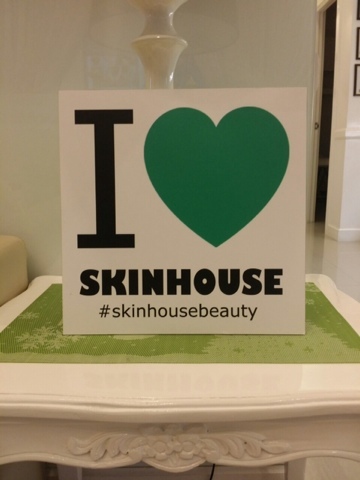 Skin House has a branch in Quezon City and another one in Pasig. I went to their Pasig branch because it's nearer. Plus, it's their newest branch! When I got there, the receptionist and aesthetician greeted me. I was then brought to a room where I'm going to have my treatment done. Their room is very spacious. This is probably the biggest room among the clinics I've been to. I didn't put makeup on because I thought they were going to do the Revlite Laser treatment on my face. But the procedure was for my underarms which was fine as I can compare it with IPL. But hey, Revlite is not limited to underarms! Now, for the yucky photos. Please excuse my underarms and bare face. This is the machine that does magic to our skin! I was briefed what Revlite was all about. Revlite removes the dark spots on your underarms. 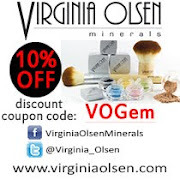 Imagine a rock salt being smashed until it becomes very tiny particles. That was their brief description. Revlite smashes the dark spots and the particles are flushed out of out body when we pee. With that, out underarms get whiter. Revlite laser can also remove tattoo. That's how effective it is! 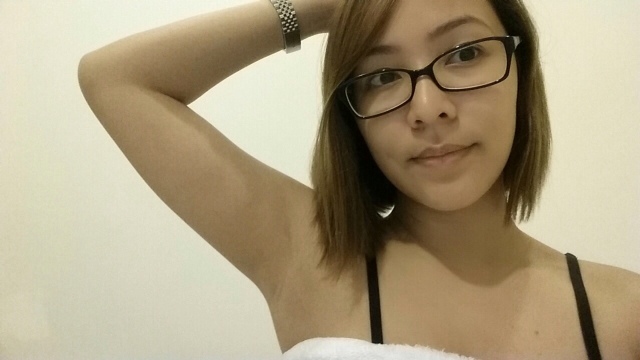 Of course, it also improves the texture of your skin and it lessens [and makes it thinner] growth of underarm hair. But! First things first. 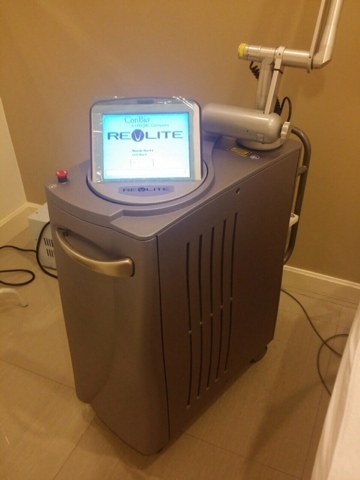 Before you try Revlite Laser treatment, make sure that you haven't used any whitening product on your body [whitening soap and especially whitening deodorant]. Avoid exposure to the sun if you are having this treatment on another body part. They checked my underarm if there was any hair and wiped it clean. The aesthetician drew an XY axis to be able to the laser per section. She said I don't have dark underarms but there is a bit discolouration. These two photos are actual photos while she was treating my underarms. By the looks of it, you might get scared and chicken out in trying this. It does look scary but the pain is tolerable. Seriously. I can't say I have high tolerance of pain cos I don't but on a scale of 1 to 10, I give this a 2. Imagine a ball pen constantly poking you. It's tolerable but the laser is hot which makes it a tad painful that's why I gave it a 2. If you hear an electric sound while having revlite laser treatment then smell something burning, that just means you have a tiny hair growing that was crossed out by the laser! Don't worry, it's not enough to burn your skin. The procedure could be fast or long depending on the skin being treatment. Although in general, it only takes 20 minutes for both underarms. 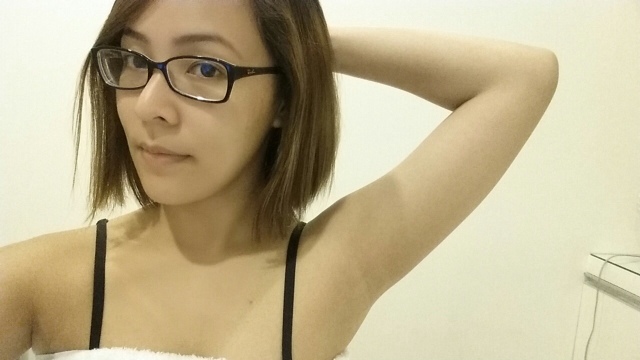 Except your underarm to feel warm and look reddish right after the treatment. As sun as the redness dies down, you can immediately see the effect! Right off the bat, I can say this is way more effective than IPL. 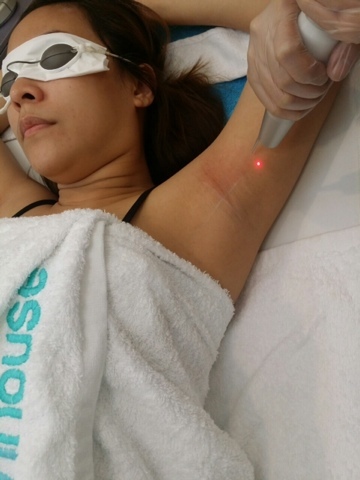 For best results, you should have at least 6 sessions of Revlite Laser Treatment if you're going for that very white underarms! We all want that, don't we? I'm due for my 2nd session but I haven't scheduled an appointment yet. Can't wait to let you see the result of the next session! 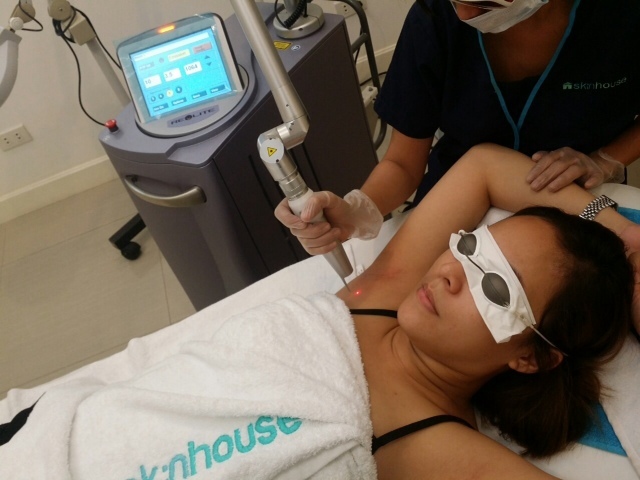 Revlite Laser Treatment for underarms if PhP3,500 only. 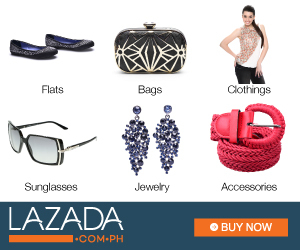 You may visit their website or their Facebook page.